Destanee Aiava, Ellen Perez and Zoe Hives have been rewarded for their impressive results during the summer of tennis with main-draw wildcard entries into Australian Open 2019. 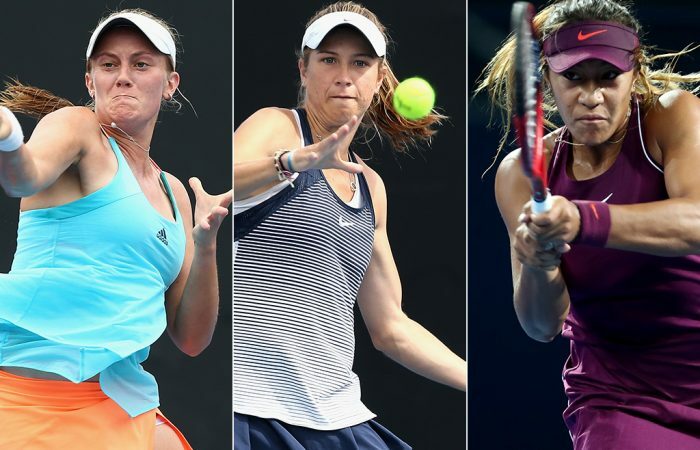 Australia’s presence in the women’s draw at Australian Open 2019 has been boosted by three thanks to the awarding of wildcards to a trio of the nation’s brightest talents. Destanee Aiava, Ellen Perez and Zoe Hives will play in the main draw at Melbourne Park in just over a week’s time, reward for their impressive results during the Aussie summer of tennis. 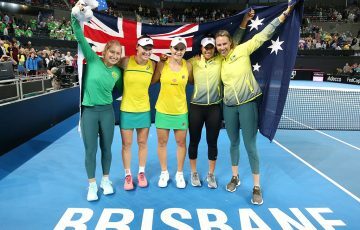 “We had a really good problem this year in that so many Australian women have played well and improved their ranking,” said Nicole Pratt, head of women’s professional tennis and Australia’s Fed Cup coach. Aiava in particular has turned heads recently, with the 18-year-old Victorian winning three rounds of qualifying to reach the main draw at the Brisbane International before upsetting former world No.10 Kristina Mladenovic in the first round. Her four-match winning streak was eventually halted by reigning US Open champion Naomi Osaka under lights at Pat Rafter Arena, but not before Aiava impressed the Japanese star with her power and presence. Having slipped to world No.247 after reaching a high of 147th in September 2017, Aiava is projected to vault back inside the top 200 after her run in Brisbane. She will prepare for her third appearance in the Australian Open main draw after accepting a qualifying wildcard at the upcoming Sydney International. At last year’s Australian Open, Aiava made an impressive debut at Rod Laver Arena, racing to a 5-2 lead over world No.1 Simona Halep before the Romanian champion eventually got on top. “Destanee had an up and down year in 2018, but the way she competed in Brisbane was outstanding, from the matches she won through qualifying to a very competitive display against Osaka,” Pratt said. Perez, a left-hander from Wollongong, enjoyed a breakthrough 2018 season, shaving more than 150 spots from her ranking to end the year at No.177. 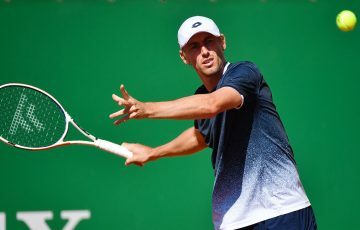 The 23-year-old reached five ITF finals on the Australian Pro Tour and also won seven doubles titles to crack the WTA doubles top 100. 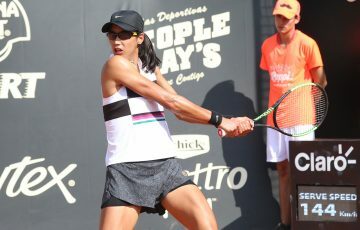 Perez’s joy was doubled when it was announced she will also receive a wildcard into the main draw of next week’s Hobart International. 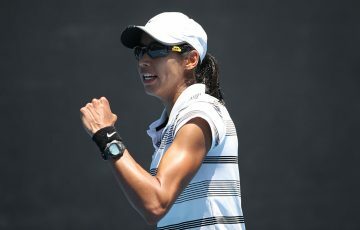 Most recently, she advanced to the semifinals of the AO Play-off before falling to eventual champion Kimberly Birrell. 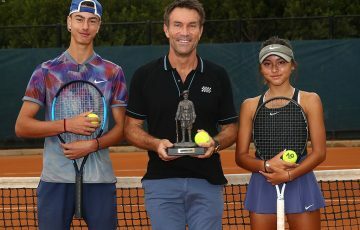 Victorian Hives jumped from No.378 to No.220 in a memorable 2018 season, during which she claimed her first ITF $60,000 title in Canberra as well as a pair of $25,000-level titles in Playford and Toowoomba. 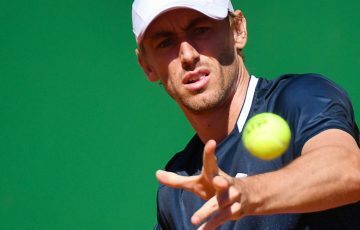 Like Perez, Hives reached the semifinals of the recent AO Play-off and has received a wildcard into the Hobart International. And like Aiava, she was impressive during Brisbane International qualifying, upsetting former world No.12 Yanina Wickmayer before falling in a tight match in the second round. “Zoe had a really strong back end of the year also, winning the 60K title in Canberra. Her physicality and mentality have really improved and there’s a new maturity,” Pratt observed. “And we saw her beat a quality player in Brisbane in Wickmayer. Wickmayer doesn’t beat herself – Zoe beat her. Then she stretched (top-100 player) Anastasia Potapova to 7-5 in the third. 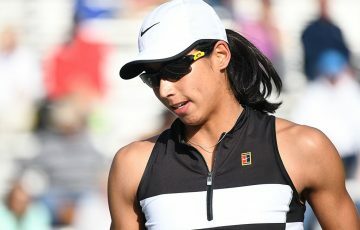 Aiava, Perez and Hives will join compatriots Ash Barty, Daria Gavrilova, Ajla Tomljanovic, Sam Stosur, Priscilla Hon and Kimberly Birrell in the main draw at Australian Open 2019.